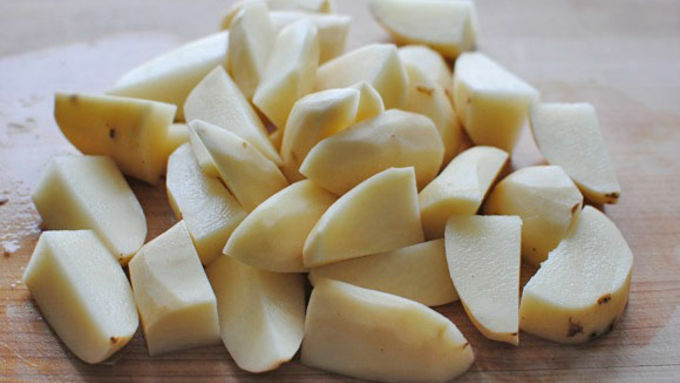 Place the potatoes in a large pot and cover with cold water and the tablespoon of salt. Bring to a boil and cook until potatoes are fork-tender, 15 to 20 minutes. Drain. Place the pot back over medium heat and melt the 4 tablespoons butter. 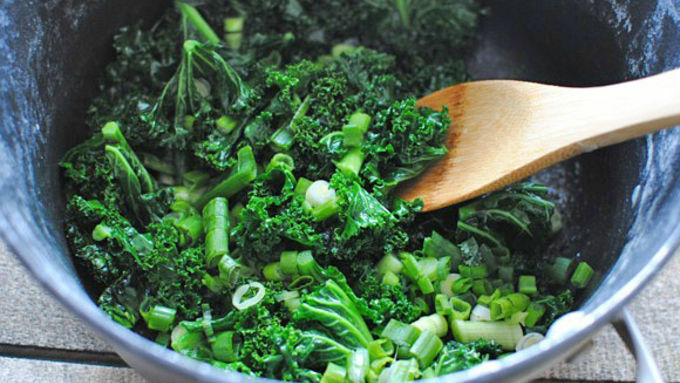 Add the kale and cook until wilted, 4 minutes. Add the green onions and toss to combine. 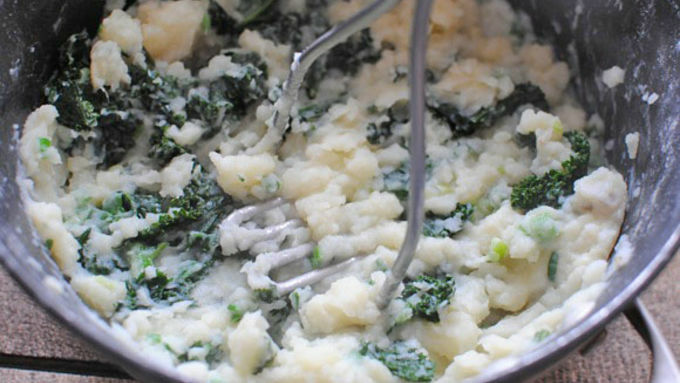 Add the potatoes and mash until creamy. Toss in a pinch of salt and pepper to taste. 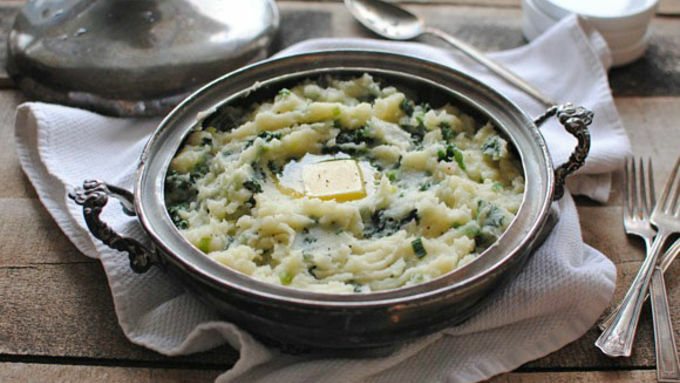 Serve colcannon in a large serving bowl with the remaining tablespoon of butter. Oh just get ready for this. 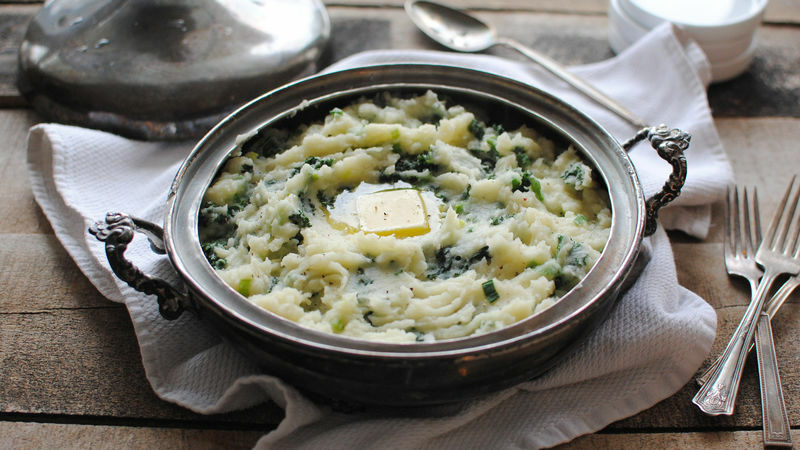 Colcannon in D? Colcannonball? Colcannonading? Colcannoneers? Dudes, I could go on and on. By the way, I know it's really Canon in D. Ahem. Okay, so have you ever colcannoned? Oh dear. Oh dearohdearohdear. Let me just tell you about this. A) Potatoes. No bigs. We all love 'em. B) Butter. And I mean a lot of butter. Creamy, melted, rub-it-on-your-face butter. 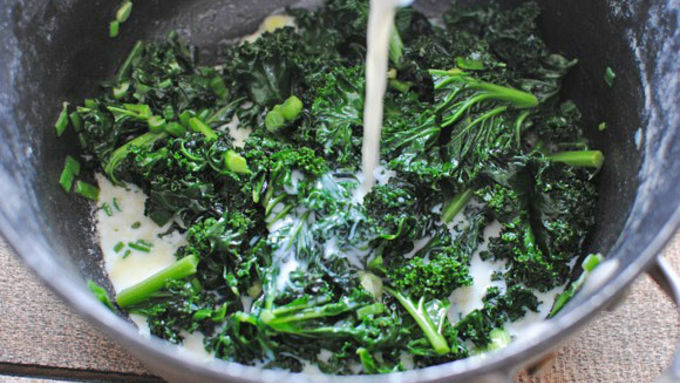 C) KALE. Ooooooooo, say what? I know. Kale. An entire bunch of the healthy stuff right smack dab in it. D) Milk or cream. Well, I mean duh. E) SCALLIONS. Do whaaaaaaat? I know. Scallions. And a lot of 'em, right all up in it. F) Your face smashed in it. The end. Here it is, in all its glory. With that fat I mean phat dab of butter right on top, for all the world to see. I can't even look this without completely losing my mind.